Last year, 2018, has seen an increased focus on abortion law in Northern Ireland. 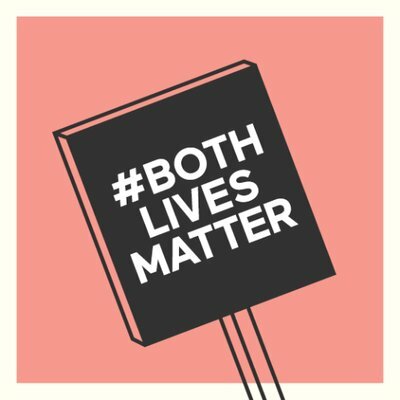 For those of us who have been continuing to progress the Both Lives Matter campaign message, a message that is pro-both, woman and preborn child, it has been a year with many highs and lows. One of the biggest challenges we face in 2019 will be the impact of the new legislation on abortion in the Republic of Ireland. Unfortunately genuine concerns about the legislation have largely been dismissed by the government, including fears around the lack of resources being allocated and developed for life enabling care services, counselling and practical help for those facing crisis pregnancy in the Republic. Why does the legislation in the Republic of Ireland matter to us here in NI? The Minister for Health has indicated that women from NI will be able to access abortion services in the Republic. Regardless of how Brexit pans out, it is clear that women here will soon be able to access abortion just a short drive away. It remains to be seen how much of an impact that will have on our life-affirming culture. Recently, as the new legislation passed through the Dail and moved on to the Seanad, several things became obvious. Whilst the people of the Republic of Ireland did vote to repeal the 8thamendment and whilst the broad terms of the proposed legislation were available prior to the referendum, the detail of the legislation has left many uncomfortable. Abortions can take place for any reason up to 12 weeks (the time at which an unborn baby is fully formed but just needs time to grow). Within this time frame there is no restriction in legislation which would make abortion on the basis of disability illegal, and there’s nothing to prevent abortion on the grounds of gender or on the grounds of race. Several attempts were made to insert amendments into the legislation by TDs who valued both lives but they were all unsuccessful. Abortions will also be legal for fatal fetal abnormality up to birth. We have heard from organisations such as “Every Life Counts” who are deeply concerned. Efforts to provide guaranteed statutory provision of perinatal hospice care for women who want to continue their pregnancy were rejected. Shockingly Kate O’Connell TD appeared to have no understanding of perinatal hospice care, comparing it to the incarceration of women in the laundries, and as something that harks back to the 1950s! Concerns abound around this legislation. There’s the fact that only minimal records around abortions will be kept, which casts questions over the future statistics. TDs also tried to insert an amendment seeking pain relief be administered to the unborn baby during an abortion but this was voted against. An amendment seeking to restrict public money being used for abortions in Ireland was voted against as was an amendment seeking care be provided to babies who are born alive after an attempted abortion. To add to this, GPs are to be paid 450 Euro for each termination service provided – a fee that sees GPs paid more when a woman chooses an abortion rather than choosing to give birth her child. Is it any wonder that doctors walked out of an Extraordinary General Meeting of the Irish College of General Practitioners? Even those doctors who support abortion services in Ireland have voiced concern over the speed of the legislation passing through the Irish government. As I watched the proceedings live on the Oirechtas web channel I was continually disturbed by the vitriol in the debates and the dismissive attitude towards those TDs who were trying in some way to defend unborn life. The language used by some TDs who were supporting the new legislation left much to be desired. There were very few references to the unborn child and we continued to hear the dehumanising language which was evident during the referendum campaign. Unborn babies reduced to “pregnancies” and pregnancy treated like a disease, with women, we are told, being freed by this new legislation. However we only have to look to our nearest neighbour to see what a liberal attitude to, and interpretation of, abortion policy brings. In GB there is 1 abortion every 3 minutes and on paper the legislation in the Republic is even less restrictive. It will be no doubt sobering to see the trend in abortion statistics over the next few years in the Republic. Abortion on request is not, and will never be healthcare. It doesn’t matter how many times pro-abortion activists refer to it as healthcare, the fact remains that true health care is life-affirming. Abortion is life-ending. The mood in the Republic of Ireland has recently been described as “ugly”, and is leading to an oppressive culture where real care for women in crisis pregnancy is seen as backward. Kate O’Connell TD has stated quite clearly: “We won. We’ll get our way . . . Ye can talk for as long as ye like. . . Ye lost. It must be hurting.” In this new reality in Ireland those who value the life of both woman and preborn child are being mocked and marginalised. Unfortunately many “pro-choice” activists really only care about one choice – abortion, and this includes actively limiting choices that would enable life. We in Northern Ireland can and must learn from what has happened this year in the South. The battle is real and the stakes are high – it is literally a battle for life over death. This means we must work together for the creation of better services and the protection of our life-affirming law and culture. It means we tell a better story than abortion, one that offers hope and life even in desperation. It means that in 2019 every one of us has a part to play – join us. Marion Woods is spokesperson for LifeNI and Both Lives Matter, and is regularly heard on local and national media, advocating for better care services for women facing pregnancy crisis. LifeNI are one of the founding partners of the Both Lives Matter campaign.